& decided to make this.I omitted the carrots & capsicum and used a whole head of cauliflower. Mine too, Asha !I can eat this anytime. One of our Andhra friend taught us this. Very tasty. 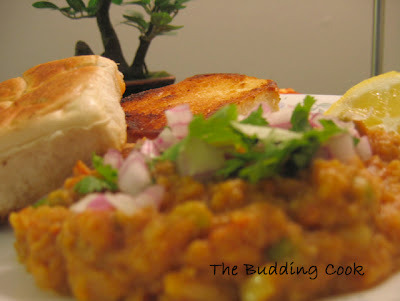 I love pav bhaji too & make this very often. Viji, it's mine too & thanks ! 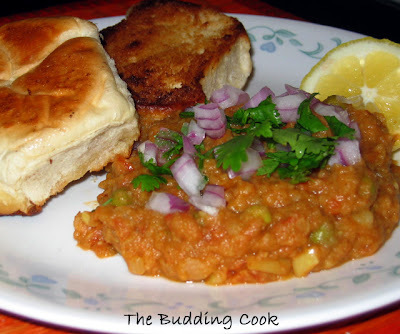 Pav BHaji is my favo too...thanks for such wonderful post. wow..they look mouthwatering..delcious..and amazing clicks. I am a blogger. I will be happy if u visit my blog,comment on the recipes. I invite u to follow my blog regularly for more updates.